Crunchy caramel sea salt honeycomb dipped in rich dark chocolate. StorageStore in cool, dry conditions. IngredientsSugar, glucose syrup, dark chocolate (20%) (sugar, cocoa mass, cocoa butter, emulsifier: soya lecithin, natural vanilla flavouring), honey (2%), sea salt (1%), bicarbonate of soda, natural caramel flavouring. 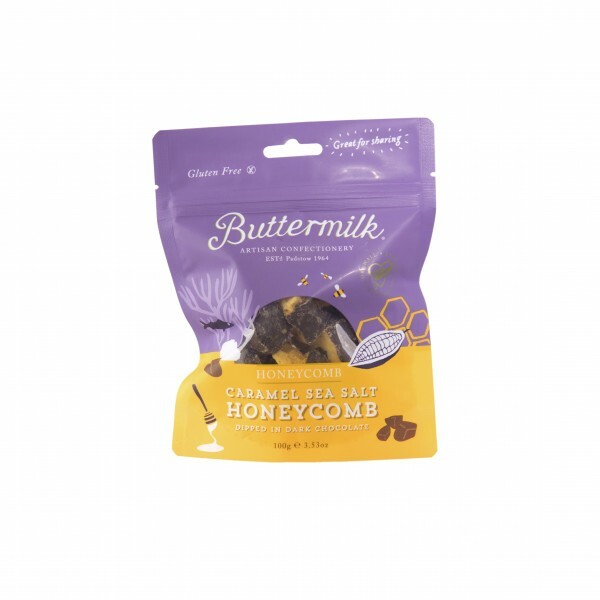 Crunchy caramel sea salt honeycomb, dipped in rich dark chocolate for a deliciously balanced sweet treat. In a resealable sharing pouch, perfect for sharing – if you can!